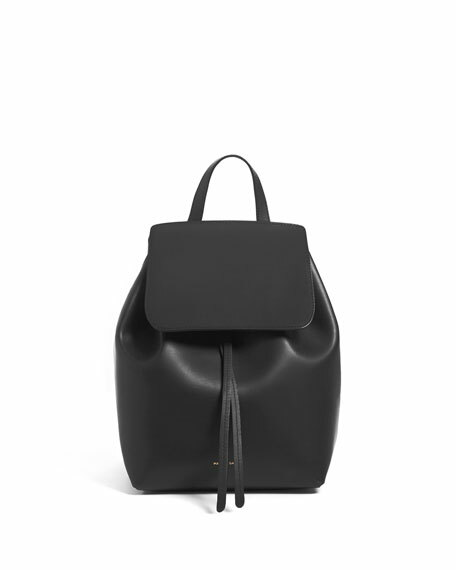 Mansur Gavriel coated leather mini backpack. Flat top handle with 2 1/2" drop. Padded backpack straps with 11 1/2" adjustable drop. 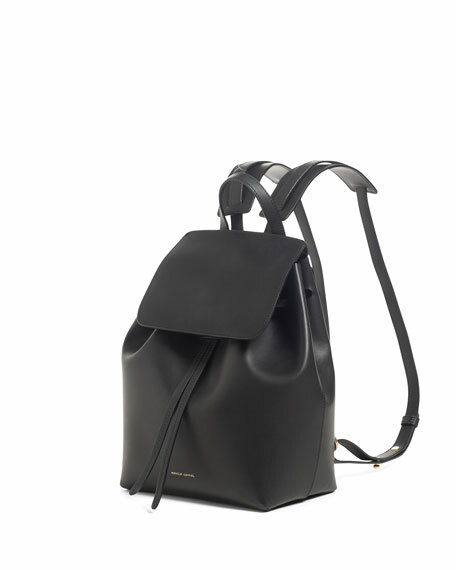 Flap-top conceals drawstring toggle closure. Hanging fringe loops through top and front of bag for added security. 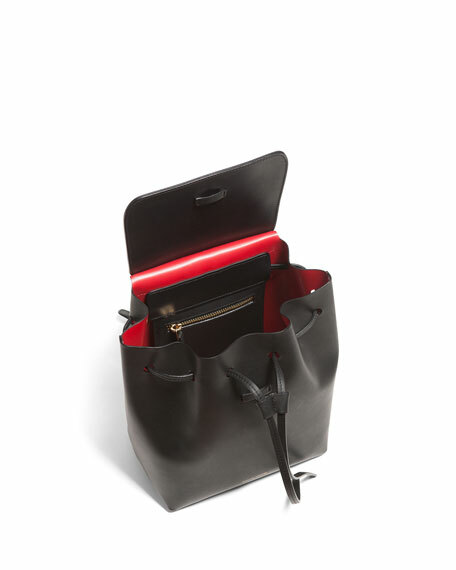 Interior, contrast coated leather lining; one zip pocket with looped pull tab. Exterior, embossed logo at front bottom center. 10 1/2"H x 11"W 5"D; bag weighs 1 lb. 3 oz. For in-store inquiries, use sku #152752.